Without energy to even lift her hand or head, all Aruna could do is cry. She keeps asking her parents, ‘Why have you brought me here?’ and begs them to take her back home. Little does this sweet child know that she has acute blood cancer that will kill her the minute she goes off treatment. Her mother, Mangala, cannot hold back her own tears when she sees her child cry. Nataraj cannot believe the misfortune that has befallen his family – he wants to save his daughter at any cost, but without enough money, he can't ever do that. “I was crushed when my father passed away recently and I spent all I had on his last rites. Within a few days, my daughter was diagnosed with cancer. 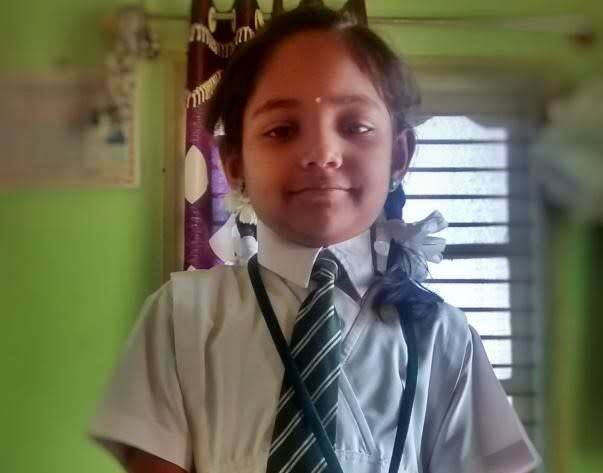 Now I need lakhs to save her, when I don’t even have hundreds left.” - Nataraj, father of 10-year-old Aruna. Nataraj’s father had succumbed to a bad bout of tuberculosis. It was an extremely sensitive period for this tight-knit family. 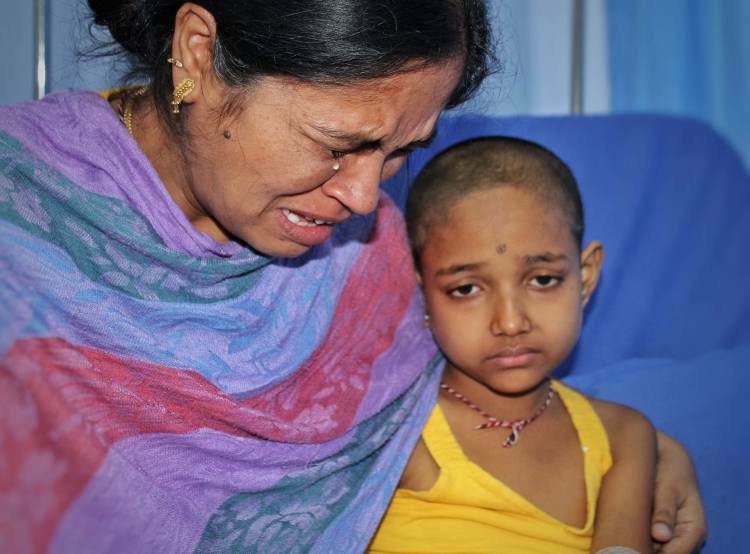 Their tears were still fresh when Aruna started falling sick more often. 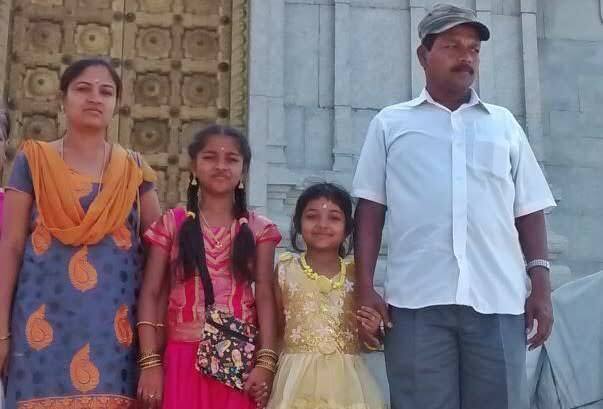 Nataraj was still in disbelief about his daughter’s health even after the doctors told him clearly about the deadly disease that was killing her. But he knew very well that he did not have much time to waste. He did not hesitate to beg and borrow money from friends as he had already exhausted his savings recently. Cancer has turned the high-spirited, happy girl who loved going to school to a morose child who always complains of irritability. 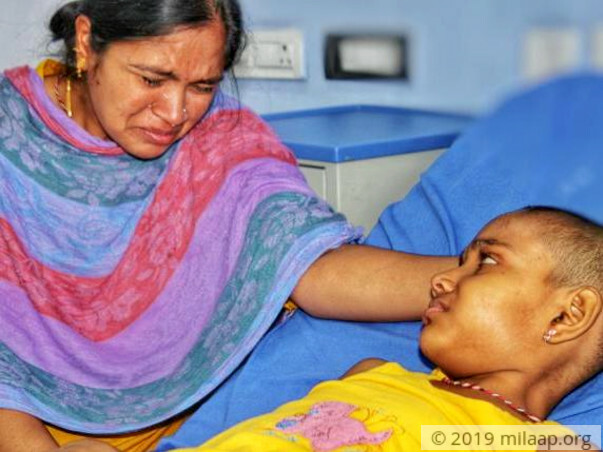 Pain has taken over the joints of her arms and legs to the extent that all Aruna can do is cry her lungs out and pine for her sister’s company. Nataraj works as a cable operator in a small cable company in Tumkur. He used to earn Rs 10,000 per month but his salary has taken a hit because the cable business has not been very profitable in recent times. He was planning to switch to a more stable job when his father passed away suddenly and now his daughter is very sick. 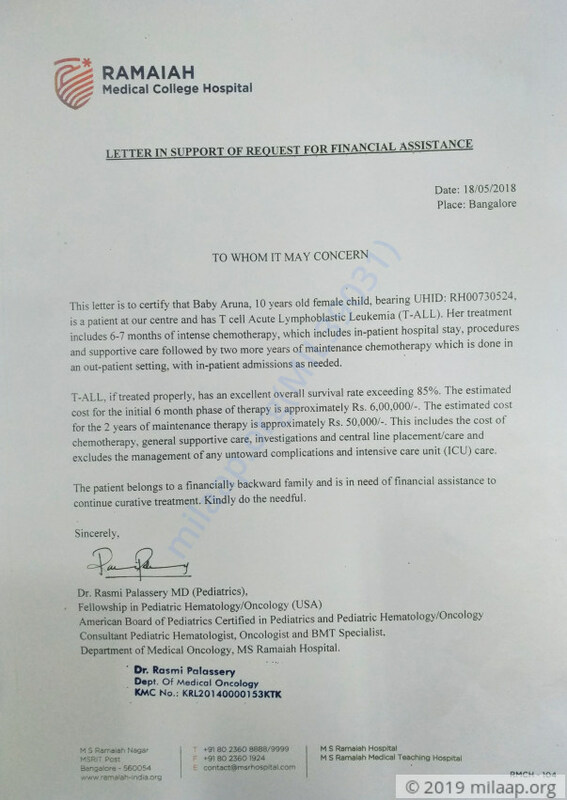 Only chemotherapy can save Aruna now and it costs 6.50 lakhs. Aruna's fate depends on her treatment. Even when she has a good chance at recovery, this 10-year-old goes through pain everyday. 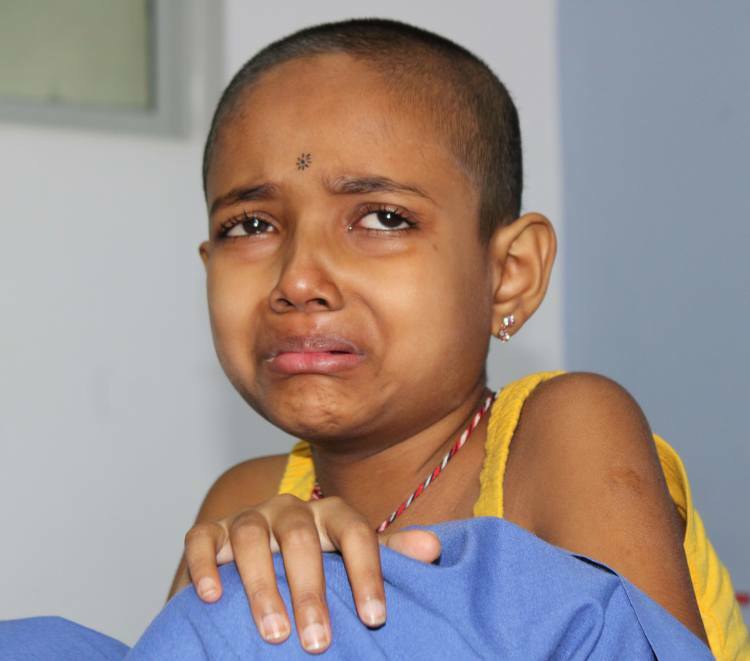 With our support, her parents can continue her treatment and save her life. Aruna has successfully finished her radiotherapy treatment and she is on follow up. She is recovering and is responding well to the treatment. Currently she is on medication and is doing well. Aruna has successfully finished all herl cycles of induction chemotherapy and is to be undergoing radiotherapy treatment. She is doing very good and we hope she will be alright. Here's a quick update on Aruna. Aruna is taking chemotherapy treatment and responding to to each cycle. She is gradually recovering from the disease. We shall keep you posted on same.